UPDATED – Originally published in June of 2014. Many new updates including the addition of Purdue Universities clinical research trials. I hope to shed some light on why there’s confusion regarding the rights of PTSD service dogs – and why they’re not currently considered service animals by the Department of Veterans Affairs. PTSD Service dog clinical research is underway by the Department of Veterans Affairs & Purdue University. The studies aim to gather research on the effect service dogs have for veterans suffering from Post Traumatic Stress Disorder (PTSD) and Traumatic Brain Injuries (TBI). The VA doesn’t currently consider PTSD dogs to be service animals because they say hasn’t been enough clinical research to support their usefulness. Service animals under VA regulations are animals that are specifically trained to help a veteran with an ongoing physical disability; they cover veterinary services for these animals. Estimates have shown between about 20% of veterans returning home to civilian life today are likely to develop PTSD. Demand for PTSD service dogs is growing, yet many vets have trouble finding the support needed to get one. The nationwide average expense for training a service dog is between $30,000 & $40,000, a lot of fundraising usually helps someone get paired with an animal. Since PTSD dogs aren’t covered veterans often rely on fundraisers & help from others to come up with the money needed to get their own service dog. 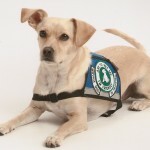 Service dog tasks include guiding people who are blind, alerting people who are deaf, pulling a wheelchair, alerting and protecting a person who is having a seizure, reminding a person with mental illness to take prescribed medications, calming a person with Post Traumatic Stress Disorder (PTSD) during an anxiety attack, or performing other duties. Service animals are working animals, not pets. The work that a service dog has been trained to provide must be directly related to the person’s disability. Under these guidelines dogs whose sole function is to provide comfort or emotional support do not qualify as service animals under the ADA. Some State and local laws also define service animal more broadly than the ADA does. Information about such laws can be obtained from your State attorney general’s office. 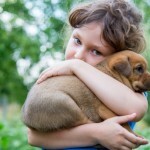 Emotional support animals (ESA) are companion animals that offer therapeutic support. The skills & tasks that ESAs provide can be just as wide ranging of those for a service animal but they aren’t necessarily provided the same protections. The Americans with Disabilities Act allows people with disabilities to bring their service animal to public places. These protections are only extended to animals that have been individually trained to perform tasks for the benefit of an individual with a disability. ESAs aren’t always trained specifically for one individuals disability therefore they are not afforded the same protections under the ADA. This issue tends to pop up in the news quite frequently and it’s quite clear that each state being able to govern laws regarding accessibility of a service animal/ESA is going to cause a lot of confusion and grief.As far as PTSD dogs go federally they are considered to be service animals, but some states & laws will only afford protection to animals that provide specific tasks for a disability and they need to be certified. 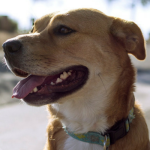 Many vets who seek a PTSD dogs first do their research online to find local resources to connect with a potential dog; they don’t necessarily know if said dog will have the certifications needed to qualify as a true service animal. 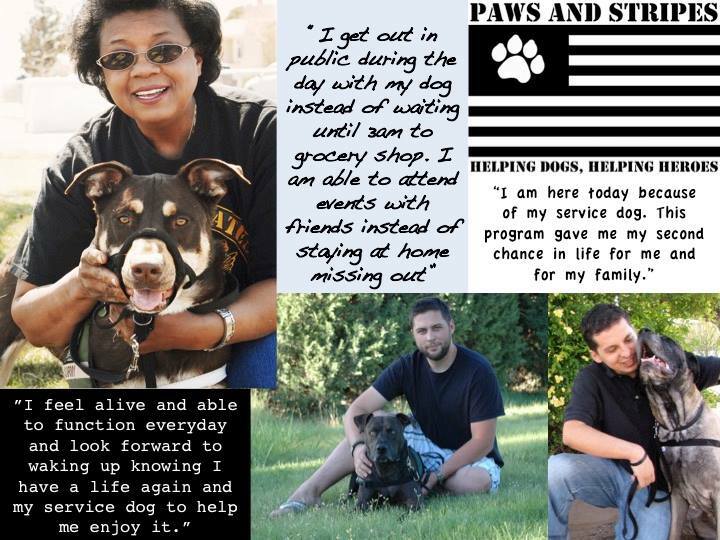 Paws & Stripes in New Mexico provides service dogs for wounded veterans with PTSD & TBI. How Do We Define PTSD Service Dogs? Helping their handler during a flashback. Under these guidelines they are covered under the ADA as service animals, but there’s still a lot of confusion surrounding them. People who are not aware that these dogs have been trained to do specific tasks some people assume they’re emotional support animals. While all of this is good news for the possible future of funding PTSD service dogs it’s not going to come quickly, and until then there’s still going to be a lot of confusion about how to define PTSD service dogs. The VA study isn’t expected to finish for another year or two, it’s currently estimated to be completed in 2017. The study was mandated by Congress back in 2010 but the study has since been halted two times – once in 2010 and again in 2012. For now veterans looking for service dogs are going to have to reach out to the private sector for support & continue to face confusion regarding the status of their service dogs. You can help by spreading the word about how much of a difference a PTSD service dog makes to veterans. It’s not always easy adjusting to civilian life after serving – providing veterans with service dogs is one simple way we can help. Show your support for organizations that help provide PTSD service dogs to veterans, share the heartwarming stories of veterans and their service dogs. There may not be enough clinical research to show the effectiveness of such service dogs, but there’s more than enough proof when you see the awesome bond that exists between a veteran and his service dog for yourself – wouldn’t you agree? Our veterans deserve our support, we can show ours by helping to support organizations that help wounded veterans, and by sharing their stories. I look forward to seeing the results of this study in the future. I guess for dog lovers, we suspect what the results will be. But as much as I love the idea of veterans getting the help them need to manage PTSD, I hope against hope that someday we’ll stop putting people into combat that creates it. The results shouldn’t take very long at all. There is so much proof showing that dogs help people with life’s problems. 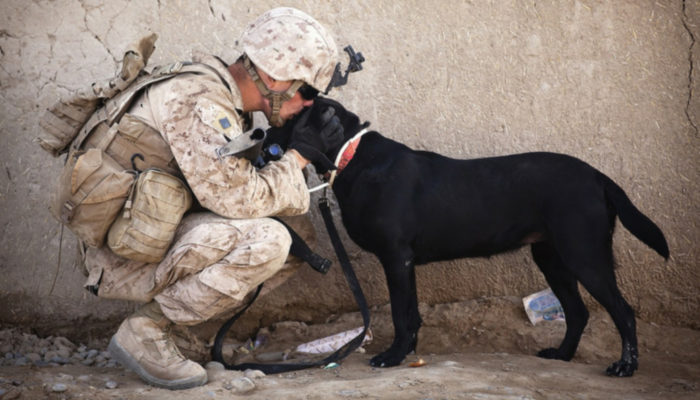 These dogs are SO important to our veterans…let’s hope the VA comes to the same conclusion! So many of our service members come home with PTSD (too many) and so many take their lives every day (too many again!) To me this is something worth investing money into. There are a number of prison programs where inmates train dogs, why not rescue dogs, have inmates provide the training (and help pay back their debt to society) and give the dogs to the service members for no charge? To me it sounds perfect.